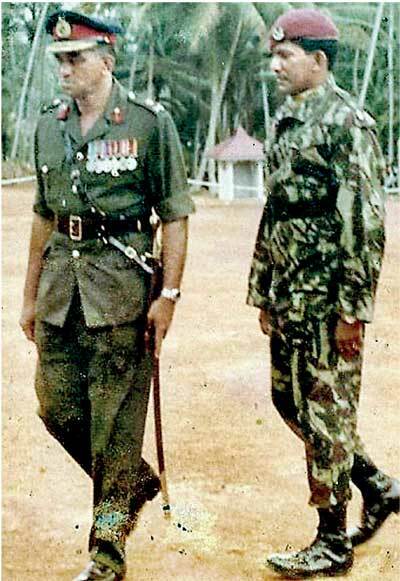 I would wake up on the 10th of October with the thought of wishing, “Many Happy Returns of The Day” to the General of all Generals of the Sri Lanka Army. Alas, it was not to be so, when I wished him on the 12th of October, 2012 for the last time. 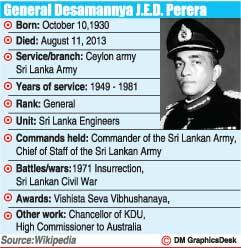 General Denis Perera, the first Sandhurst Trained General of the Sri Lanka Army, passed away on the 14th of August 2013 at the age of 82 years. Much has been said and written about him upon his demise, yet there is so much that has yet to be written of this iconic General. I do not know if I could do justice, but I am bound, committed and emotionally moved to pay my respects to a man whom I held in the highest esteem, a man who was my role model and a man whom I adored. He was to me A General of All Generals. "Much has been said and written about him upon his demise, yet there is so much that has yet to be written of this iconic General. I do not know if I could do justice, but I am bound, committed and emotionally moved to pay my respects to a man whom I held in the highest esteem, a man who was my role model and a man whom I adored. He was to me A General of All Generals"
Sadly I wasn’t in Sri Lanka when he passed away, but may be something prompted me, for my wife and I to see him before we left. In fact I spoke to him the day before I left on the telephone and he was quite upbeat as usual, not conveying any signs of sickness. So the news of his demise when I received it, was quite a shock plunging me into profound sorrow. The Cadet training was but one such of the many new organisations of the army he pioneered in restructuring. Likewise , it was his forward thinking that gave birth to the Commandos, the Women’s Corps, a couple of Infantry Units a host of other establishments like the Kotelawela Defence Academy and the Military Academy Diyatalawa. One may put these achievements of the General down on paper as what he envisioned for the army and the nation. That I would say was his contribution in the call of duty. 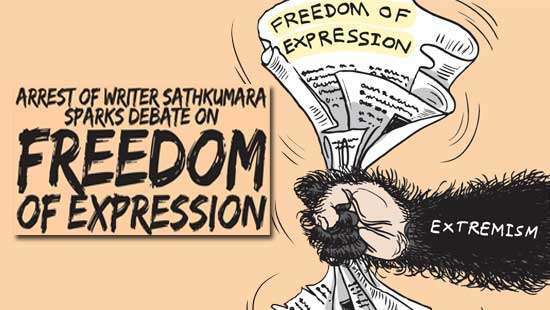 He took it in his stride and set the Sri Lankan Army ablaze with illuminating ideas and standards calling on individuals to rise up from the idleness and slumber of their comfort zones of complacence and apathy. Accountability, integrity and responsibility became the order of the day. He could not suffer dishonesty and fraud. He had no time for backbiters and stooges, who attempted back door tactics to gain positions in the army. A common reference he made at the passing out parade of soldiers was, “ Hamudawata Haramiti karayo onay ne”. The army does not require soldiers who lean on others. Stand on your own two feet was his call to the soldiers. Amidst all he was also a diplomat. He was able to get what he wanted by using his persuasive powers and charm on his superiors. He had a convincing way about him. Always ready with the facts and figures to present before the political hierarchy in order to get his plans into fruition. I have been privy to many of his plans when I served on his personal staff at the Army Headquarter. His systematic approach with the determination to achieve his objectives more often than not met with success. 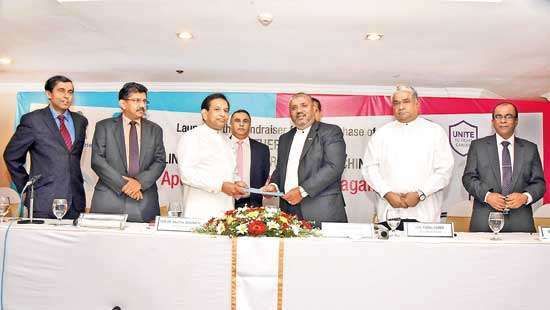 I recall a General who referred to General Perera as King Mahasen of modern times. That was an appropriate comment when one looked at the vast changes he made to the overall Army structure and the deployment concept. Not only was he a builder but with the moving times and the ugly head of terrorism raising its head during his last days in Command was he able to conceptualize new strategies to counter the emerging threats. The General looked at all situations positively. He turned disappointments into stories where there was a lesson to be learnt. He was a people’s man and understood human failing as well as success. He had a heart as large as his six foot frame. He identified skilled honest people very fast and even the skivers and frauds were quickly sidelined and eliminated from responsibilities. He introduced systems and evaluation methods to assess Officers and Soldiers. At the beginning even though it was opposed by the Commanding Officers, soon it became a tool that was used for all administrative functions such as promotions, postings and appointments of the army. He took away the lack of confidence the junior officers of the army had in the system, where favouritism and regimental loyalty took precedence over ability, suitability and qualification. I remember an occasion when the General was ready to throw in the towel when gross injustice was done to an Officer nominated for a course in the US , was overlooked to send another officer totally unsuitable and incompetent. At all times a strict disciplinarian, who broached no compromises when it came to conforming to army discipline and good order. Instances where and when discipline was never compromised are too many in number to be mentioned and carries no interest without mention of names which I prefer to refrain from. I served as his secretary when he was appointed as the Chief Co-coordinator for all foreign delegates for the 1976 Non Aligned Conference. This meant I had to man the Operations room on a daily basis for 24hrs during the arrival of the delegates and their entourage. I recall asking him if I could take a break of twelve hours to visit my young bride of some two weeks, to which I had a very curt ,”No” followed with an even more curt,” not unless she is dying”. Need I say how I felt. There were far bigger issues and The General never wavered in his decisions in upholding the discipline and traditions of the army. He was the man who brought back the glamour of the Army. Perhaps through times of austerity and tight fisted treasury officials, the traditional ceremonies of the army were at a very low ebb. Ceremonies were kept to a minimum. The military uniforms from those on the field to those in the Mess and those on parade had been trimmed due to the non-availability of funds. At least that was what we were told at that time. I believe with some hard bargaining and some convincing, the General was able to bring back the lost glamour to the Rank and File. Appearance and pride in the uniform was a fundamental need to uplift the morale of the soldier. The colourful mess functions in military regalia and the re-introduction of Colour parades and the award of colours were all back in the army routine. 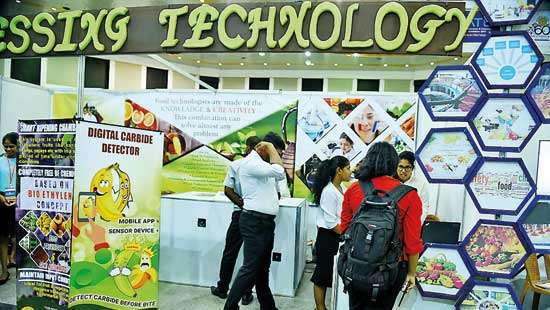 Training and overseas courses/training were re-introduced. Starting with India and Pakistan, the General was able to re-negotiate with the United Kingdom and the United States followed by Malaysia and Bangladesh to have Officers sent on Staff College courses as well as other training courses for senior and junior officers. He was able to negotiate with the Ministry to give a reasonable living allowance to the Officers when they went on training. From some measly three sterling pounds a day, the allowances were brought on par with the allowances given to other government officials. He encouraged Officers to take their wives along with them. The crowning moment of my military career was when General Perera entrusted me with the responsibility of raising the Commando Squadron later to become a Regiment. Once again it was his brain-child in keeping with the governments requirement to be equipped with a military outfit that could in an eventuality deal with a Hijack or a Hostage taking situation. With the commissioning of a National Carrier a disturbance on the aircraft was a very real possibility. Hijackings were very much in vogue and the need for a countering force or a deterrent outfit was seen as a necessity. In his very first year of Command he set about the task of establishing the unit. On the 5th of February 1978 he released the circular setting up the Commando Squadron and in the four years that followed, an outfit that could match any Anti Hijack Unit was in operation. During the General’s visit to the Regiment, immediately prior to his retirement, in addressing the Commandos he paid me the highest compliment, and in so doing I can humbly say that it was his direction, support and vision that enabled me to deliver what was chartered by him. I did it in the call of duty, but I owe it all to him who set the path and steered the course. For the first time I heard him say, Well Done Sunil. I am sure he was proud of what he saw that day, which was what he set out to do. Finally even as I draw this brief account of this colossus of a man, to a conclusion I cannot withhold mentioning how he stood up for my brother who was serving in the S.L. Air Force at a time when my brothers future in his service was at stake. My brother an Officer in the Air Force, and also the head of the Air force Commando Unit in the discharge of his duties had ruffled feathers in treading on the toes of a powerful Minister in the cabinet of the then President. This Minister demanded his pound of flesh and wanted the termination of my brothers service. The Commander of the Air Force of that time stood his ground and very vigorously defended my brother, and it was much later that I heard from the same Air Force Commander that General Perera had backed him in his defence of my brother in all seriousness, and my brother survived that moment to fight another day, though not for long. Farewell Sir, all that I have said about you is not a repayment nor an expression of gratitude, it was but a brief moment, a very brief moment I spent in solitude reminiscing forty five years of military hallowedness. I can go on Sir, perhaps till the ink in my pen runs dry, for all those many years after the army and more so the close relationship my family and I enjoyed in the more recent past. I can shed tears for you while you have found Rest Eternal in the Bosom of Our Lord, but I will comfort myself in that I had the honour of knowing , The General of All Generals.